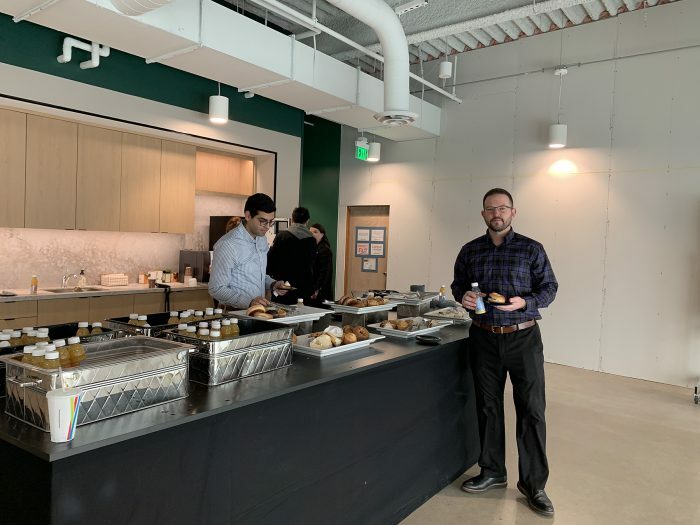 Today at Digi International, site movers, the Digi IT team and other personnel were still hard at work getting everything in place, but it is official: Digi International headquarters is now located at Excelsior Crossings, 9350 Excelsior Blvd., Suite 700, Hopkins, MN 55343. Final construction will continue through March. Employees began arriving at 7 a.m. We traded in old access keys for new ones, and received a welcome cup from the Excelsior Crossings building managers. Our company occupies two floors of our new location — Floor 6 and 7 — at the 9350 building of Excelsior Crossings. The open floor plan gives the site a modern, fresh feel and we believe it will facilitate open conversations and collaboration. Most employees are in cubicles that surround the perimeter of the space with 360° views. Executive offices, conference rooms and focus spaces line the internal space. Our new building is located at the juncture of Excelsior Boulevard running east-west, and Highway 169 running north-south. We haven’t traversed far. The new site is just a few miles from our long-time headquarters at Bren Road in Minnetonka, and we are just a few freeway exits away from our Operations facility in Eden Prairie. 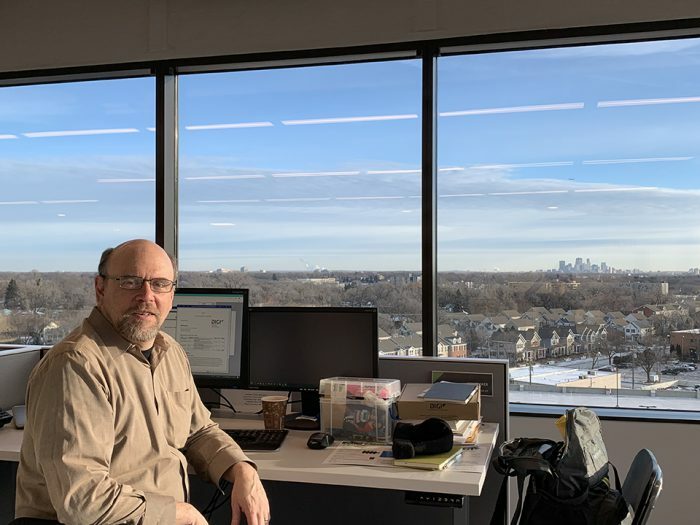 One of the most startling aspects of the new building is the enormous windows surrounding both floors, with views of downtown Hopkins and surrounding areas, and the site landscaping including several ponds. Most spectacularly, the east-facing windows display the beautiful Minneapolis skyline. The basement of our new corporate home base sports a workout facility with plenty of equipment as well as classes and personal trainers. And when the snow melts, we will also enjoy nearby walking trails, ponds and wildlife. Our corporate move caps a series of major enhancements and changes to our business that we have implemented over the last few years to tighten our focus and key offerings on the next generation of IoT. While change is never painless, it brings opportunity. And when change is strategic and forward-thinking, it can very often pave the way for greater things. We believe this corporate move is the culmination of our company’s strategic initiatives, and will do just that. Our corporate move is a big step in our continuing evolution. The site construction continues, and will ultimately give way to a world class headquarters with opportunities for demonstrating our products and solutions for visiting global customers.